1. Use A Separate Email Address! Taking surveys is one of the easiest ways to make money online. Seriously. All you need to do is fill out some simple demographic information and then just give your opinion. Easy, huh? Actually, a lot of the survey websites I’ve come across have been a bit weird and scammy. Yep it’s really really true, there are good survey companies. You know, ones that pay you with CASH or GIFT CARDS, ones that don’t have 45+ surveys for $0.10. They exist! I’ve found THIRTY different legit websites that you can use to make some extra money. I’ll be updating this list as much as I can – so save it, pin it, whatever. Just be sure to check back often for new websites! Don’t forget to confirm your email when signing up for these websites so you can be informed when new surveys are available to you! I highly suggest trying out 5 or more websites, you never know which ones are going to give you the best surveys (because everyones demographics is different). Try 5 and then narrow it down to 1-3 favorites. Okay on to the list! Out of all the survey websites I’ve tried, Survey Junkie seems to give me the best return. They tell you exactly how long each survey will be, and how much you’ll make with each survey. They also send you emails when new surveys are available. I also love the customer support! ShopTracker is an app that tracks your Amazon purchases. All you have to do is sign up, answer a few questions, then just keep the app installed. After the initial survey ShopTracker is basically passive income! So if you’re an Amazon shopper you should give this one a try! You get your sign-up bonus immediately, then a reward every month you keep the app installed. 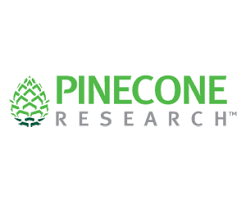 PineCone Research is a great survey website to add to your rotation. The surveys are quick and always pay at least $3. The only downside is there aren’t surveys available all the time. You can redeem your rewards after every survey, no matter the amount. SwagBucks is another personal favorite of mine. I love this website because there are just so many different ways to earn money! You can try new products and sign-up for services, you can take surveys, you can get cash back when shopping online, and you can play games! There’s also a very cool thing where you can get points for using coupons found on Swagbucks! You get points for printing them out and you also get points when you redeem them at the grocery store! To be eligible to join SwagBucks, you need to be at least 18 years old, and must live in the USA, Austrailia, Canada, or Ireland. Many of the websites on this list send you an email when a new survey is available… And it can get pretty overwhelming fast. So I HIGHLY suggest you get a separate email for signing up for survey websites. This also will help you not overlook the survey invitations. All the survey tiles will show you how long the survey If you click this link and make a purchase, we earn a commission at no additional cost to you. takes to complete (in the top right corner, this one says “4 mins”), and it will also show you how many points the survey If you click this link and make a purchase, we earn a commission at no additional cost to you. is worth (this one says 20 points). To get the most for your time, you only want to take surveys If you click this link and make a purchase, we earn a commission at no additional cost to you. that give you 5 points per minute (sorry to make you do math). For this survey, it’s 4 minutes long, and you want 5 points per minute, so multiply 4 by 5 (4 x 5) and you get 20. So I want at least 20 points for this. This survey If you click this link and make a purchase, we earn a commission at no additional cost to you. will give me exactly 20 points, so it’s worth it for me to take! I’m sure surveys aren’t something you’ll want to be doing all the time, but to get to the $500+ a month (and beyond) point, you’re going to need to put in at least a little bit a time. I suggest an hour a day (at least!). You might be tempted to just spend hours taking surveys a day or two a month, but I highly suggest you be more active than that. Try to spend 30+ minutes a day taking surveys. Your goal should be to complete at least 5 surveys per day. I have found that the more consistent I am, the more high-quality surveys I get invited to! There are a ton of different websites to earn money online! You can definitely make at least $500 a month with these websites and the tips I gave you! 75+ Ways to Make Extra Money!